Barcelona is always an amazing place to visit with its food, nature, beaches and lovely local people. However, everybody wants to shop when they are in a new city, right? One of the hidden gems of Barcelona is its jewelry shops. These shops are simply not a regular jewelry shop but authentic, handcrafted, carefully designed and produced genuine items. If you are looking for the best jewelry shops in Barcelona, you are in the right place! This magical city is also a home to many amazing small jewelers – here is INSIDR’s selection of the best small jewelers in Barcelona! Fili Plaza began her journey in 1983 by sculpting. She believed that this was the way she was able to express the free spirit of human nature and transfer the emotions. Eventually, in 2003, her path led to contemporary jewelry. Nowadays, she continues to create her art through sensuality and luminosity. Her signature material is the same as the one she used in her sculpting career – bronze. Her creations are more than just jewelry pieces. They are literally wearable sculptures that each carries a unique touch of the creator – a transmission of feelings. All collections of Fili Plaza are carefully designed and made with a high attention to details in Barcelona. Amparo Valencia is a jewelry shop located between El Raval and La Barceloneta, in the Barri Gotic neighborhood. The specialty of the jewelry here is their transformational and unusual shapes. These mesmerizing pieces are immediately catching the eye! All of the pieces of jewelry is handmade and produced in this nice workshop in Barcelona. The collections might change according to the year or the season. Currently, the themes of the collections include Serpentine, Hellenic, Trazos. However, the custom-made pieces are also available for order. Pay a visit to this intriguing jewelry shop near Plaça de San Miguel at Dualart where the designer showcases all of her jewelry pieces and also paintings. Rosa Tejada worked in the graphic design industry for more than 20 years. Fortunately, in 2007, she decided to take a chance to jewelry design. Since then she creates contemporary pieces of jewelry for urban women. While she is working on jewelry, she always is considering from her past experiences as a graphic designer. She mainly works with 18k gold, silver and natural stones which are rough. These points create her main signature pieces as well. Now, she showcases her pieces at her showroom Rosa Tejada Joies near L’Eixample neighborhood and only few minutes away from Plaça de Catalunya! Sara Urwicz is a jewelry artist who was born in Uruguay and later moved to Barcelona to study architecture. Since 2005, she combined her experience in architecture to create her designs in jewelry. Her work represents many different points in life. She defines that her inspiration comes from anything and everywhere which is also reflected in her pieces. She uses many different materials along with different technique. In this way, each piece of her designs tells a different story from life. Urwicz also works on custom-made pieces upon request. Don’t forget to check her designs while you are in Barcelona. Located in the El Bon Bastor, El Trébol de 4 is founded by Montse Bose. The representation of the pieces comes from the passion for the creation. Each piece is carefully handcrafted in the workshop in Barcelona, one by one. Therefore, there is no exact piece of the creation of Bose. Here at El Trébol de 4, you are able to find handmade jewelry with a lot of care, passion, and patience. Personalized pieces are also available if you contact the designer. If you want to expand your knowledge about jewelry, Montse Bose also offers jewelry making workshops. You can choose between short and long-term ones. There is also a workshop suitable for children as well! Tass Joies is a successful family business that has been continuing to grow since 1994. Currently, the head designer of the team is Gloria Miralles. As a brand, Tass Joies is a part of sustainable jewelry creation. They use recycled metals from EU and their sources of diamond are always legitimate and approved sources. You can visit their showroom which is only a few minutes away from Sants train station. Tass Joies is 100% handmade in Barcelona with care and exceptional artisanal production. Their collection includes gold and silver pieces, wedding rings and even baby earrings! Luckily, they always take custom orders too. In case you are looking for a specialized piece, Tass Joies is there for you. 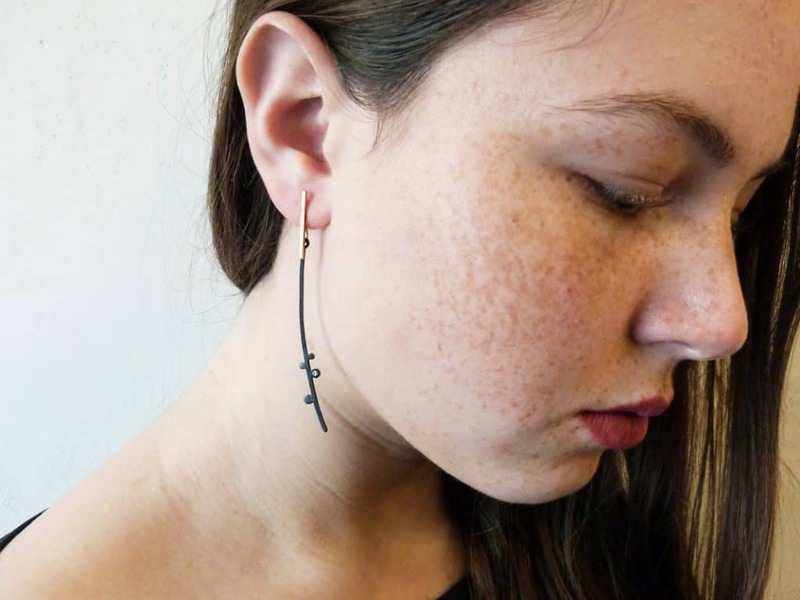 Koetania is an artisanal jewelry brand that was founded in 2011. The founders Marta Blanco and Daniel Bellido decided to do something particular and unique. Eventually, they combine jewelry and fashion. This resulted in the personalized fashionable jewelry item special for each person. However, while creating fashionable jewelry; Koetania still followed a sustainable ethical work on the contrary to mass production brands and their items. 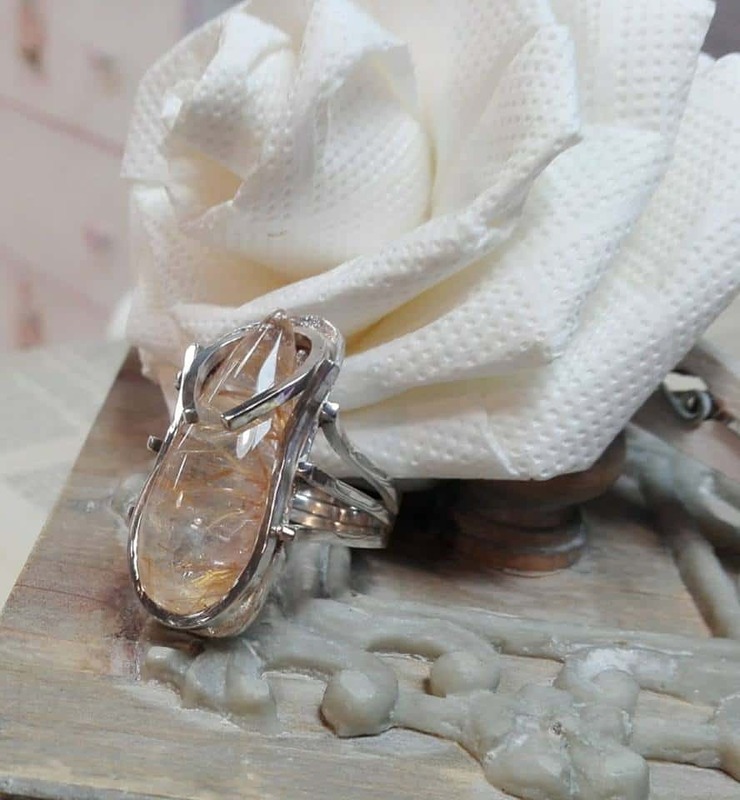 Their signature products include customized wedding or engagement rings. On the other hand, they still continue to create seasonal collections. Koetania’s shop is located in the gorgeous Gracia neighborhood, don’t forget to stop by! TdB stands for Taller de Beatrice which means the workshop of Beatrice. Beatrice is the one who is the craftswoman and the designer of all the pieces of TdB. Obviously, she is the reason why all of these exist today! TdB was born in 2011. The idea behind the brand was creating limited production items that people can enjoy. TdB is committed to authenticity but also to the environment. Therefore, the designs are 100% handmade and made with environmentally respectful material. Beatrice creates designs that are suitable for your day look – optimistic and fun. Her porcelain jewelry collection is our favorite! Elena Estaun studied Marketing at Parsons in New York. After her path, her path led her to London. There she studied and worked on experimental jewelry. Since then she creates new concepts of elegance in the jewelry world. Elena’s designs have a transgressive identity. This meets with industrial, urban and also ethnic touches. In the end, each of the designs is unique. You can realize it’s Elena’s because she has this special touch to her creations. Besides from her showroom in Barcelona, there is another shop in Ibiza as well – in case you are visiting there too! She is the translator of her ideas and daily life into the jewelry. However, the end results are insanely fascinating; you have to see them in person in Barcelona! The story of Sant dates back to 1930s. 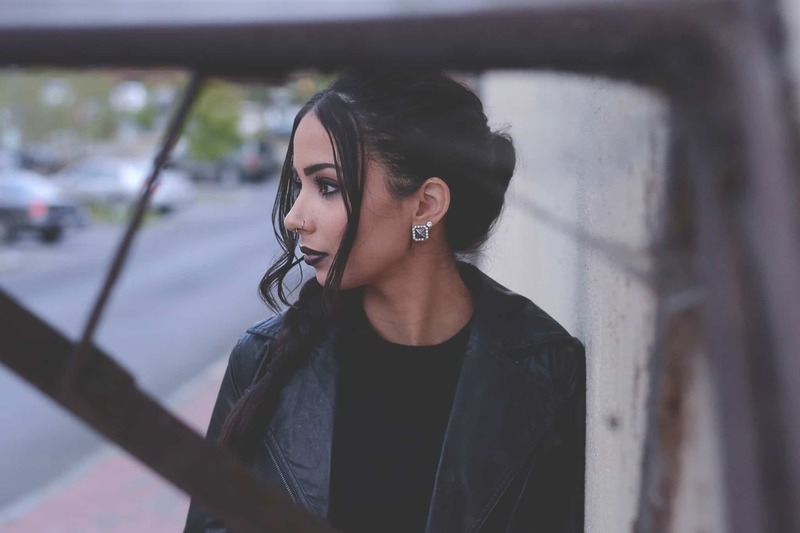 Nowadays, the second and third generation of Sant Jewelers is continuing the tradition Sant is in the jewelry business that is exclusively family-run. Therefore, their aim is to create piece outside of the box and be true to their true principles. Sant offers you a variety of collections. These include opal, classics, one of a kind or things like “nice little presents and lifestyle” as well. Pieces of jewelry here are more timeless. This means they are suitable for multiple occasions and wearable throughout years without belonging to a specific era. Their showroom is located around Barri Gotic as well which is one of the nicest areas to shop in Barcelona! Chez Paulette more than just a jeweler. Besides from their jewelry line, they have other product lines. You can find many different accessories. Including bags, scarves and even headband but also art prints and poster are at Chez Paulette. As you might guess from the name, the brand has French roots. However, it is located in a vibrant street of the Gothic Quarter in Barcelona! All the items you see here are extremely creative, one of a kind treatures. The products are both made by French and Spanish artists. You will see that there is a special collection dedicated to the ones “Made in Barcelona” as well. Take a tour at Chez Paulette, you will like every little detail there!